Scuttle: A Little Bit of Fashion & Alot of Sparkle: Your Invited! 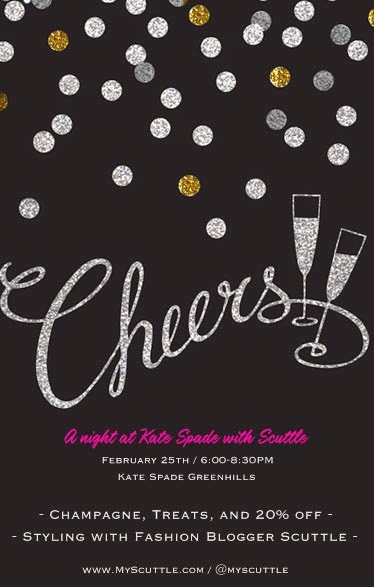 I am so excited to invite you all to a little shindig I am hosting with the lovely ladies at Kate Spade! On Wednesday, February 25th there will be a night of champagne, treats, gift with purchase & 20% off. I will be there to share some of my favorite spring pieces & style the night away with you beauties. If you are in Nashville I would love to have you stop in! Looking forward to a fabulous night with you!